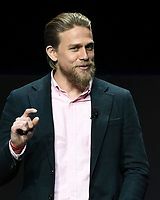 Established in September of 2011 Charlie Hunnam Fan has been your top source for the latest news and photos on the career of British actor Charlie Hunnam. 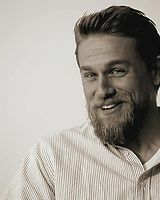 Charlie is most widely known for his role as outlaw biker Jax Teller in Sons of Anarchy. 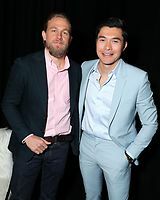 However, Charlie is remembered for his other roles in both film and television including Queer as Folk, Undeclared, Cold Mountain, and Pacific Rim to name a few. Be sure to save our link and check back often for the latest on Charlie! Charlie Hunnam talks 'Triple Frontier' and how he stays grounded in Hollywood. Catch Charlie on the big screen in a theater near you in the following films coming soon. Mel Gibson is putting his action boots on once again. The actor, last seen in 2017’s comedy Daddy’s Home 2, is teaming with Charlie Hunnam and Eiza Gonzalez for Waldo, The Hollywood Reporter can reveal. The action-packed thriller comes from Brit filmmaker Tim Kirkby, best known for directing episodes of Veep and the pilot for Fleabag, and follows a brilliant ex-detective gone rogue. The film is based on the novel Last Looks by Howard Gould and published by Dutton. The sequel, Below the Line, is set to be released next Summer. Andrew Lazar, Christina Weiss Lurie and Steve Shainberg will produce. IMR International is handling foreign sales, which will launch at the AFM this week. CAA Media Finance is handling the US rights. 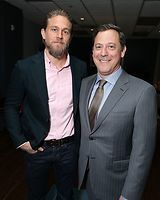 Waldo introduces a new hero in disgraced former LAPD detective Charlie Waldo, played by Hunnam, currently living the life of a minimalist in the woods. His quiet life comes to a startling halt when he is roped back into working as a private eye to investigate the murder of an eccentric television star’s wife. Filming is set to commence in the first quarter of 2019. Gibson can next be seen in the Venice-bowing Dragged Across Concrete, and also has Farhad Safinia’s The Professor and the Madman and Boss Level directed by Joe Carnahan in the works. 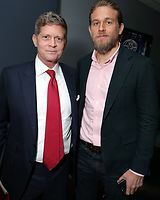 Hunnam, meanwhile, has JC Chandor’s Triple Frontier, Justin Kurzel’s The True History of the Kelly Gang and Max Winkler’s Jungleland lined up, while Eiza Gonzalez has Robert Zemeckis’ Welcome to Marwen, Robert Rodriguez’s Alita: Battle Angel, Bloodshot alongside Vin Diesel, and Kung Fury 2. Variety.com — Charlie Hunnam (“Sons of Anarchy”) has joined the cast of Justin Kurzel’s “True History of The Kelly Gang” with George MacKay (“Captain Fantastic”), Russell Crowe (“Gladiator”), Nicholas Hoult (“Mad Max: Fury Road”) and Essie Davis (“The Babadook”). The cast of “True History of The Kelly Gang” includes Thomasin McKenzie (“Leave No Trace”), Sean Keenan (“Strangerland”), Harry Greenwood (“The Nightingale”) and Earl Cave (“Born to Kill”). The film is being produced by Liz Watts from Porchlight Films, Hal Vogel from Daybreak Pictures, Justin Kurzel and Paul Ranford. Financiers include La Cinéfacture and Memento, with principal production investment from Screen Australia and Film4 in association with Film Victoria. The film was developed with Film4, Screen Australia and Film Victoria. According to BroadwayWorld.com Charlie and his Papillon co-star Rami Malek will be appearing on the show on September 5th. Mark you calendars! Wednesday, September 5: Guests include Charlie Hunnam & Rami Malek with musical guest Amen Dunes and guest Lana Condor. 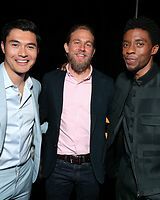 BostonHerald.com — Filmed with a hefty solidity that befits an epic tale of survival and escape, the new PAPILLON (BUTTERFLY) starring Charlie Hunnam and Rami Malek is an engrossing adventure story, set in the 1920s French colony of Guiana and adapted from the bestselling memoirs of Devil’s Island prisoner and escapee Henri Charriere. A 1973 version of the story with Steve McQueen and Dustin Hoffman at the height of their stardom was a massive success. 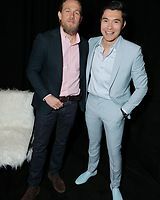 Hunnam put himself thru personal hell, losing 40 pounds to better convey Charriere’s ordeal in solitary confinement — where he spent 8 days in silence. The British actor remains best known probably for the SONS OF ANARCHY series. Thoughtful, perceptive about the business and the art of what he does, Hunnam, on the phone from LA’s Four Seasons Hotel, is also able to view Hollywood’s premature aging process with a sense of humor. Q: Can you talk a little bit about why you think now is an ideal time for PAPILLON to come back? Charlie Hunnam: I don’t know if there is necessarily an ideal time specifically, or if it was about it being an ideal time to tackle this material again. I think there was just a creative aspiration from the filmmaker to tell the story again. That’s really I think the key ingredient to making something interesting, is just having a director with a really clear vision who is excited and passionate about telling the story, and then assembles his team of like-minded people. One of the things that we had discussed a little bit that makes it a little bit relevant to this time is wanting to explore the modern state of the American prison system and how it’s all been privatized and monetized over the last 20 years. Obviously French Guiana was, although not a privatized prison system, they had specifically sent those people out there to create an infrastructure in French Guiana to be able to make that place desirable for mass migration and immigration to that part of the world from mainland France. We thought that was something interesting that made it particularly culturally relevant right now, at least to an American audience. Q: It’s slave labor, basically, right? CH: Yeah, exactly. It’s slave labor. Q: The workers have no choice. They’re sent there and they’re building this infrastructure without getting paid. CH: Yeah, and they needed an enormous workforce in order to achieve the plan that they had and the timeframe that they had set out. So just like the privatization and the building of these massive prisons, there’s a direct correlation in America to a big prison being built in an area and then just this clampdown on all crime in a hyper-vigilant way, in order to satisfy the demand of the cost of that prison to be run. Sort of the same thing was happening in France. They needed more workers than they had available through this avenue of enrollment, if you’d say, and got very, very fast and loose with giving out large sentences that would qualify for the mandate of what it would take to send these prisoners out to French Guiana. There’s definitely some similarities between those systems. Q: How would you say specifically this film is different from the PAPILLON that Franklin J. Schaffner made in what was it, 1973? CH: Again, I look at filmmaking acutely as a director’s medium. So the biggest single difference for me is a difference in sensibility of the filmmakers. Michael [Noer from Denmark] has a very modern sensibility. He comes from a documentary background and he has that hyper-real approach to filmmaking. His sensibility is very, very grounded and sort of true-life based. I think that’s the most singular difference for me. When I spoke to Michael Noer, I came into this project as a big fan of his, and that was the thing that got me most excited about the idea of working with him was the way he was talking about tackling the process. It was very free form. With no rehearsal. Just trying to create an environment that feels as authentic as possible. Obviously it’s always a challenge with projects like PAPILLON just to figure out how to at least synthesize or approximate the experience that these men went through in a safe way that would inform us at least a little bit. It’s always going to be incredibly superficial compared to obviously what these men had to endure in reality. But the few things that we had discussed in terms of his process approach were quite exciting and got me really excited about working with him. Q: That’s amazing. I had no idea that he was somebody who liked to say, “O.k. guys, let’s shoot and see what we come up with now”, rather than painstaking rehearsals. CH: I think he went into his first couple of feature films with no script at all. He’s kind of like Mike Leigh in that way. When he did his film NORTHWEST, which for me is his best film (at least maybe prior to this one), he had this idea of a story about two brothers in Copenhagen that had aspirations to create a little criminal empire. He hired two brothers from the neighborhood that they were shooting in, and shot in their house and hired their mom to play their mom. That was definitely his approach. Now he had to broaden it a little bit for this, because it was a much, much bigger scope and there’s a certain responsibility when you get entrusted with a much bigger budget like that, where the process can’t be quite as free form and fluid as you can be when you don’t have to answer to anybody. But he still applies as much as that sort of renegade spirit as he could. Q: Do you feel you accessed more information about Henri Charriere, who wrote his memoirs in two books, than you could put in this movie? 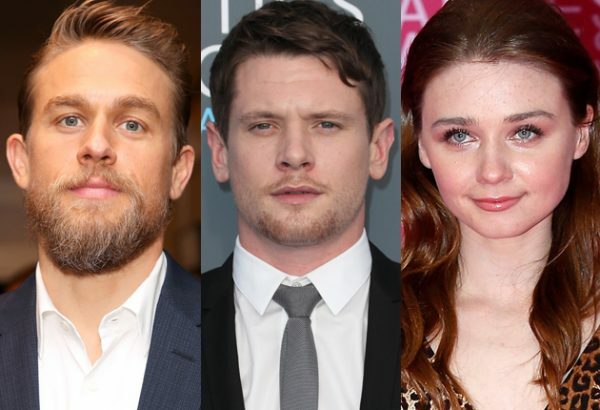 Deadline.com — Director Max Winkler has started production on Jungleland, the Romulus Entertainment, Big Red Films and Scott Free co-production that stars Charlie Hunnam, Jack O’Connell and Jessica Barden. Shooting began today in Massachusetts, with Winkler directing the script he wrote with Theodore B. Bressman and David Branson Smith. Producing are Brad Feinstein (who co-founded Romulus with Joseph F. Ingrassia), Jules Daly and her Big Red Films banner and Kevin Walsh and Ryan Stowell of Scott Free Productions. A reluctant bareknuckle boxer (O’Connell) and his brother (Hunnam) must travel across the country for one last fight, but an unexpected travel companion (Barden) exposes the cracks in their bond along the way. Deadline revealed the cast was in talks when it broke Daly’s move from longtime RSA head to become producer. Pic shoots in Fall River and New Bedford, MA, Buffalo, NY, Gary, IN, Reno, NV and San Francisco, CA.